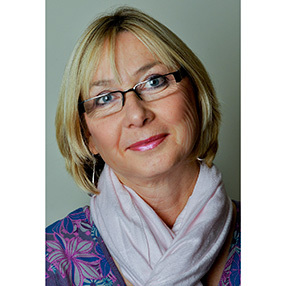 I am a qualified Counsellor with many years of experience working in NHS Hospitals, Doctor’s Surgeries and my own private practice. I work both long and short term with individuals and couples of all ages who are experiencing challenges in life. As a ‘Humanistic’ Counsellor I believe everyone is unique with their own strengths and resources but sometimes throughout our lives it becomes difficult to recognise these positive feelings. By offering a non-judgmental, accepting, therapeutic relationship and safe environment, I can help explore the issues that have brought you to counselling giving you a greater understanding and awareness that can help make changes in your life. I work primarily from a ‘Person Centred’ model which means it is non-directive, however as I believe that one model does not suit everyone, I also draw on aspects of other ways of working including Solution Focused Therapy, Brief Therapy, Transactional Analysis and Cognitive Behaviour Therapy. I am a Member of the British Association of Counselling and Psychotherapy (BACP) and adhere to their code of ethics and I also attend regular training courses and supervision to ensure my continuing professional development. As an alternative to conventional talking therapy taking place in the confines of a room, I offer the option for counselling whilst walking in a park or countryside. Research has shown that spending time in the natural environment can have significant benefits to our mental wellbeing.